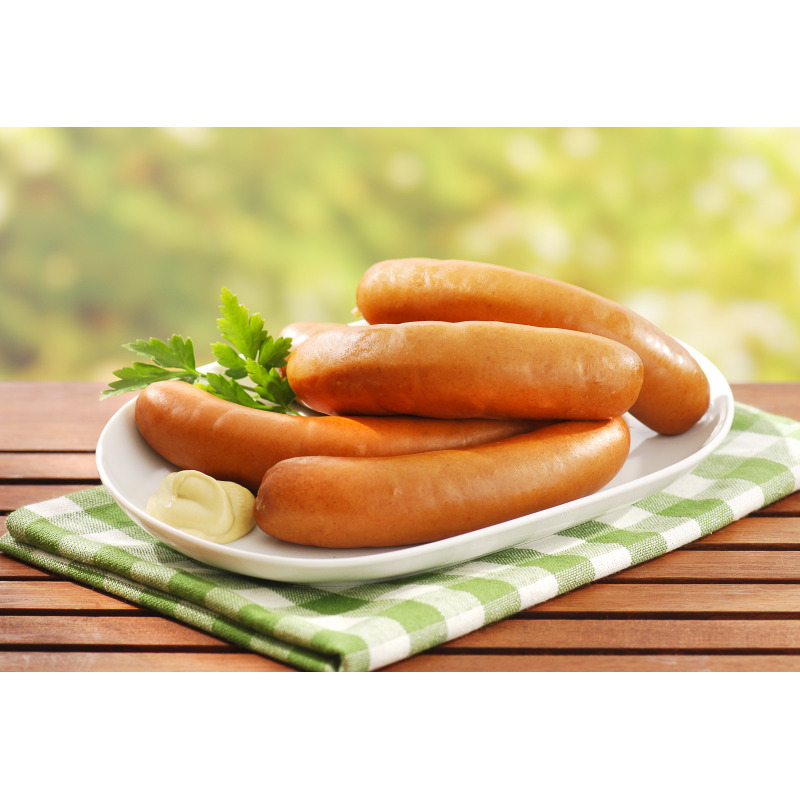 Fine textured german style fine texture sausage BULK ONLY! 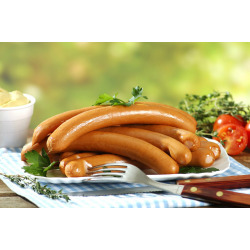 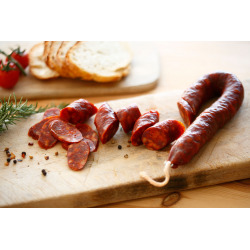 German sausage made from finely chopped veal and pork - spiced with lemon and nutmeg Best pan fried or roasted 3 per Pack. 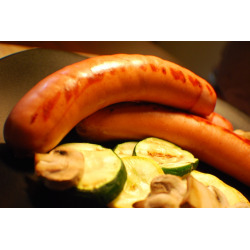 German sausage made with Pork and 8-10% cheese added, can be eaten hot or cold BULK ONLY! 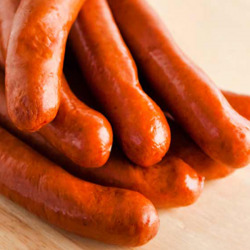 Beef and or pork German sausage has a fine texture and gets its golden colour through the smoking process 4 per Pack.